How dare I presume to speak for every busy mom? What qualifies me to advise so definitely and ultimately? Here's how and what for and why: I have experienced this mommy thing from both sides. 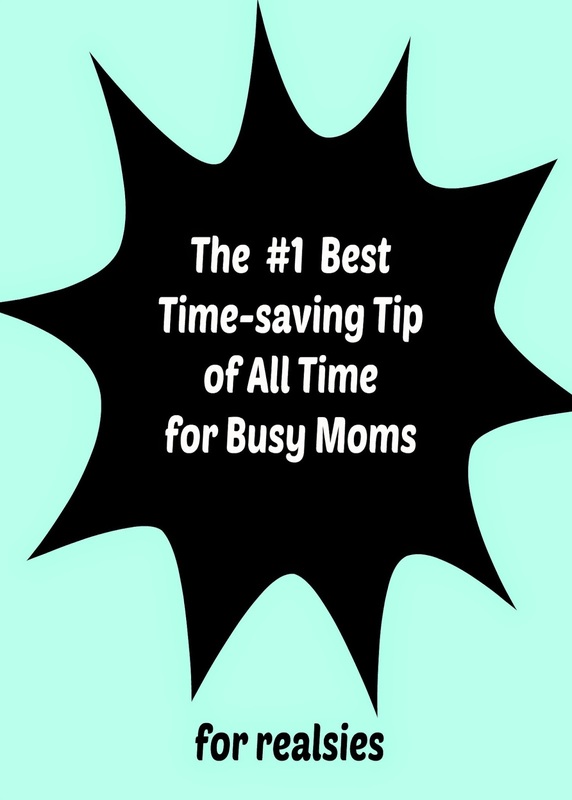 I have been a "working" mom trying to balance professional and family responsibilities. That was hard because I never had enough time to do everything that needed doing. Many times I was forced to bow out just when I would have loved to be more involved. I envied the moms who got to do all the stuff I was missing. I have been a "stay at home" mom. That was hard because suddenly I found that I was the one managing all the stuff other people were too busy to handle. Yeah, sometimes it was fun, but it was always work! Often, instead of asking, people would just assume that I could make myself available for whatever, whenever. That's why I get really annoyed when moms in one camp criticize the moms in the other. "Oh, she's just not willing to give up the money and the luxuries to be at home with her kids where she belongs!" Right... the luxury of paying the electric bill. "I do everything she does AND my job! What does she do with the other 8 or 10 hours a day?" She does about 900 little things that you weren't available for and never knew about... and that no one ever notices unless they aren't done. It sounds simplistic, I know. But try to estimate how many hours of your life you have spent looking for your phone or your car keys or that bill that's due today or your kid's other shoe or ______________. (Fill in the blank. Many, many, many times.) Now imagine what you might better have done with all that time. take note of the first place you went looking for it. PUT IT BACK IN THAT PLACE! And then continue to put it back in that same place the next time and the next time and the next time until it becomes a habit. Wherever you first imagined you would find that thing is obviously its natural place. So put it there. And keep it there. And never lose it again. OBTAIN DUPLICATES AND HOARD ONE OF THEM! Do you know why I can always find "the good screwdriver?" It's because I bought two, and one of them is mine, mine, mine! Along the same line, I have my own private stash of batteries, notepads, Sharpies, Scotch tape, duct tape, and a variety of glues. I have my own scissors, hammer, screwdriver, pliers, wire cutter and tape measure in my own secret, little toolbox. This may seem shockingly selfish, but don't judge me until you have compiled a full list of every place you went looking for batteries the last time the smoke detector started beeping. ask him where he looked for it. THEN GO LOOK THERE YOURSELF! Truly I say unto you, you will find it there every time! I have NEVER thought to start putting things in the first place where I looked for them (unless it was really where it's usually kept and it just wasn't in the right spot). That's such a simple, but incredibly brilliant little idea! Thanks Rebekah! I'm glad you came by, and I hope you'll come again. Duplicates. I completely agree with this. I always make sure I have the tools I use frequently in the rooms I need them. So, if I use scissors a lot, I'll probably have a pair put up in several rooms. It really does help. Now if I could just get the kids to put their things away where we can find them, then we can stop spending 15 min every day looking for shoes! I know we put them away by the door, but magically they become transport devices for their dolls, LOL. Thanks for linking up to the Sunshine Life Link Up, you've done a great job giving me some fun insights into my own world and I thank you for that.